Heat oil in a non-stick pan. Add cumin seeds and salt, mix and sauté till the seeds change colour. Add crushed coriander seeds, cumin powder, chilli powder and dried mango powder, mix well and sauté for 1-2 minutes. 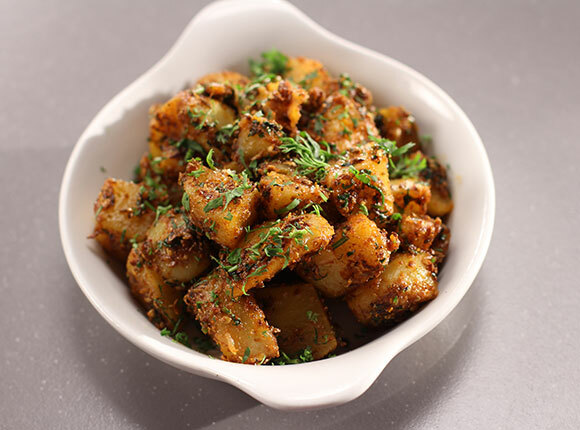 Add potatoes and coriander leaves, mix well and cook for 2-3 minutes.